Introduction, Notes and Bibliography by Dr Bruce Woodcock, Senior Lecturer in English, University of Hull. 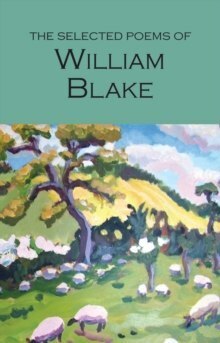 William Blake was an engraver, painter and visionary mystic as well as one of the most revolutionary of the Romantic poets. His writing attracted the astonished admiration of authors as diverse as Wordsworth, Ruskin, W.B.Yeats, and more recently beat poet Allen Ginsberg and the 'flower power' generation. He is one of England's most original artists whose works aim to liberate imaginative energies and subvert 'the mind-forged manacles' of restriction. This volume contains many of his writings, including: 'Songs of Innocence', 'Songs of Experience', 'The Marriage of Heaven and Hell', and a generous selection from the Prophetic Books including 'Milton' and 'Jerusalem'.